SIGN UP to see player ownership across all of your fantasy leagues. 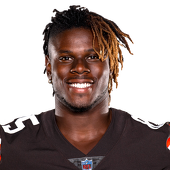 Browns | David Njoku poised to find end zone? Could Redskins have Duke's Daniel Jones as top QB?